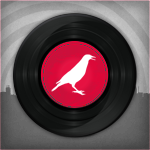 CHIRP is a way for me to stay plugged into new music now that nobody's making me mixtapes anymore. A fantastic mix comes our way every month from the Music Department, and listening to it has become my main pasttime. DJing at CHIRP is the only thing I do that my 3 sons think is cool. Diggin' the New is temporarily on hiatus while I try and complete my college education before one of my children does. If you're interested in knowing when I sub in for a DJ, shoot an email to coraltint@digginthenew.com , and I'll add you to the list of people who used to stay up late with me on Friday nights!